With all of the various options out there for placing advertising on your website, it can quickly become an arduous task to choose the right one for your site. While there is no out of the box solution that is going to work for all sites, you can ask yourself a key questions to help determine what type of advertising is going to work best for your site. What type of programs will convert best for my visitors? This is definitely not an easy question to answer, and is probably best figured out by describing the various types of programs, and giving examples of sites that they will work well on. These types of offers are probably the closest thing that you can find to the standard brick and mortar retail tradition of a salesman getting a commission to sale a product. Many online retailers such as Bestbuy.com, Buy.com, Amazon, and many others offer pay per sale affiliate programs giving their affiliates typically 2-15% commissions on sales. These types of offers work well on informational sites, provided that the products you are trying to sale are closely tied into the demographic of your site. This site features information about trails and reviews about new bikes and biking products. As you review a new product you could place a specific affiliate link to that product on an online retailer’s store, and expect a decent conversion and click-through rate. Many pay per sale affiliates offer data feeds for all of their products available through their online retail store. Using these feeds, you can build your own affiliate based online store selling their products. There are many software packages that will help you automate the process of building affiliate sites around data feeds. These types of programs generally pay you for sending lead information (data) to an online company. Leads can vary greatly from only being one field such as an e-mail address or zip code, to being an extensive form on in-depth financial information (such as that required for loan or credit card leads). Obviously, the best converting programs are the ones that require the least amount of personal information. These types of programs work well if your site’s audience isn’t necessarily prepared to by something online. They tend to convert well on ‘freebie type sites’ (example) as well as informational sites. These programs are great for sites that have very high traffic levels. I generally don’t recommend using them on their own, because PPS and PPL programs tend to be more profitable. CPM programs do however offer a wonderful opportunity to increase your site’s cash flow when used in conjunction with PPS and PPL programs. In addition, they are a great way to diversify your site’s income stream. 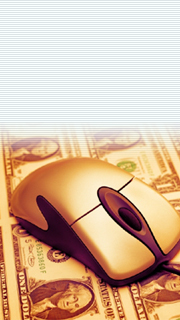 One of the best CPM affiliate networks is FastClick. Pretty much all sites can profit to some degree or another from contextual advertising. It is a wonderful, non-intrusive, way to complement your current advertising (PPS & PPL), and to provide an additional source of income. In addition, they are a great way to diversify your site’s income stream. The best contextual advertising network is Google AdSense. Most sites will achieve their best potential by using a combination of these various types of advertising. It is important to experiment with not only the different types of programs, but also with individual offers to figure out the best combination for you. To get a good overview of the various networks that are available to you, please check out our Affiliate Network section.